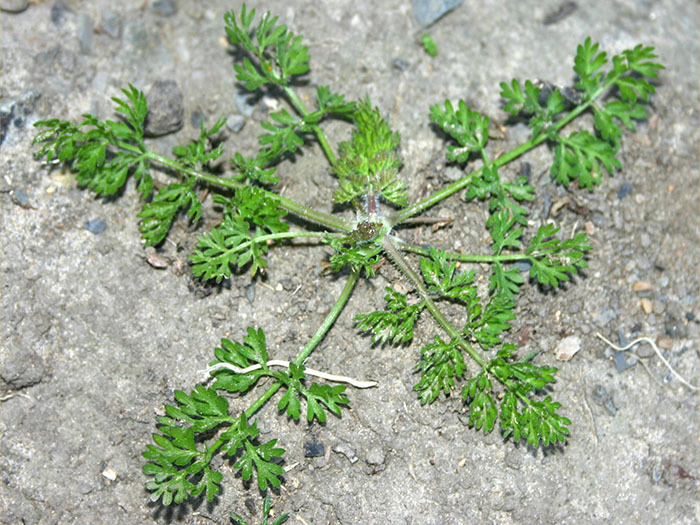 Both species are sometimes known locally as ‘carrot weed’. 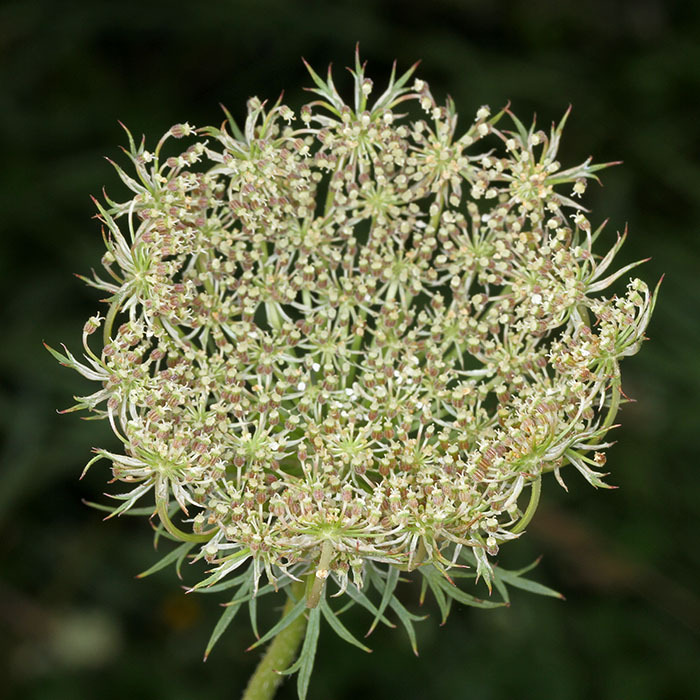 Fruits of Daucus carota are spiny and can cling to fur or clothing: this distinguishes them from other species. 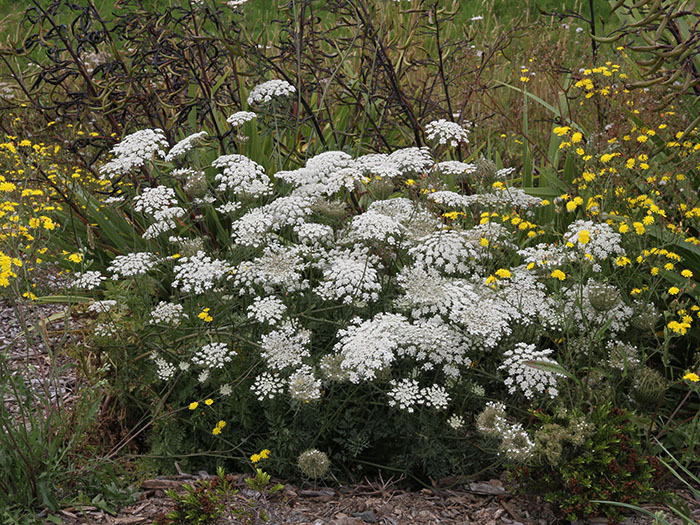 Oenanthe pimpinelloides was first recorded in New Zealand in 1940. 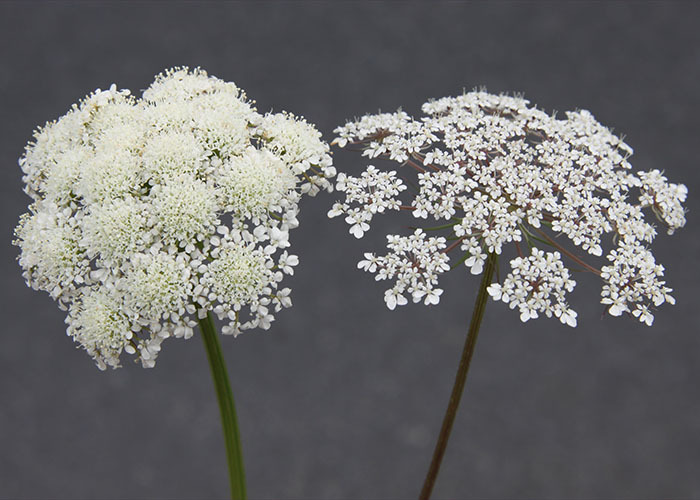 Wild carrot sends up flowering shoots between August and May: parsley dropwort between October and April. 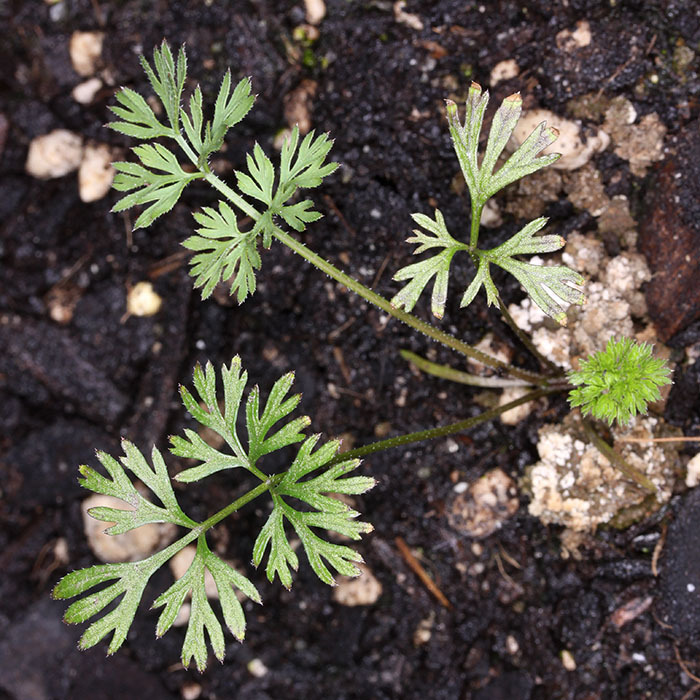 Carrots can be a useful companion plant for tomatoes and may also provide a good microclimate for lettuce. 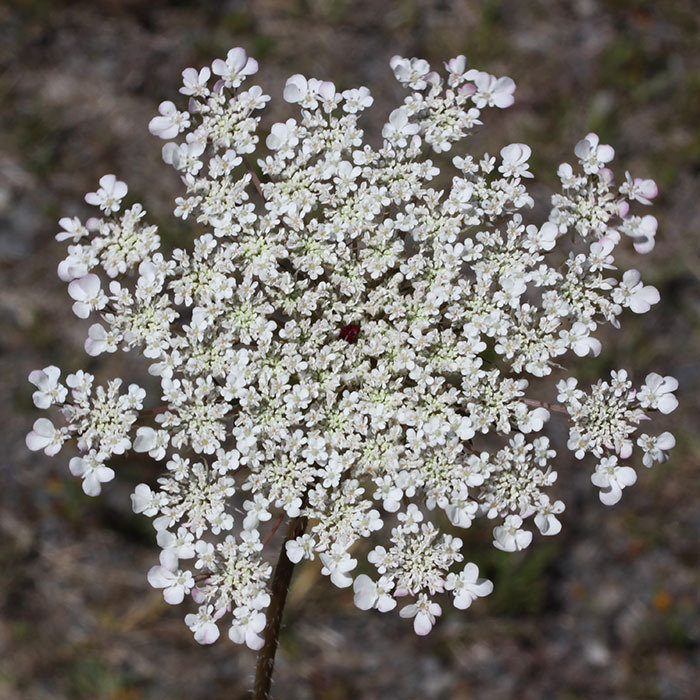 Wild carrot grows throughout the North Island, and in some places can be abundant. 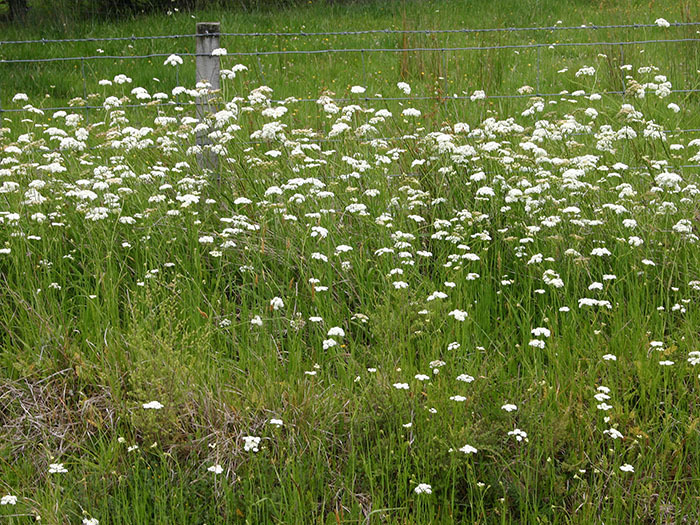 In the South Island it is most commonly found in western and southern areas, on roadsides and in some pastures in late spring and early summer. 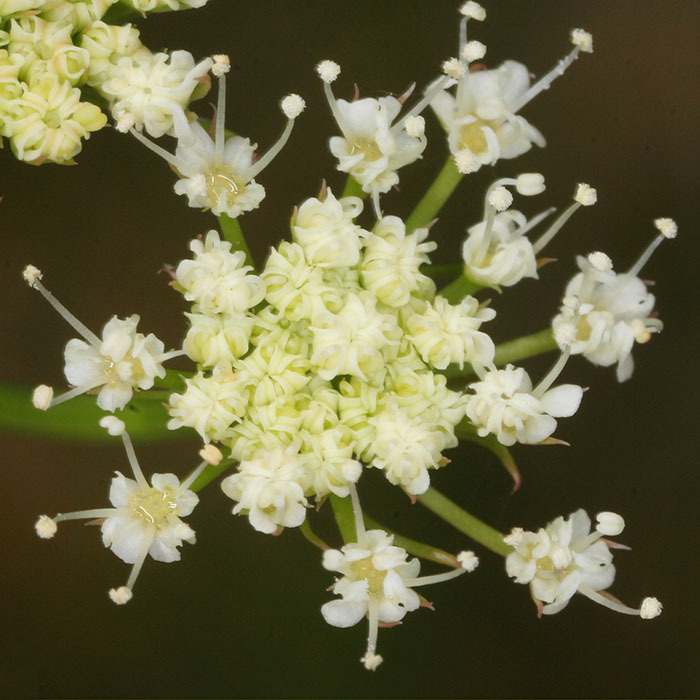 It can be abundant on dry, open, hill slopes. 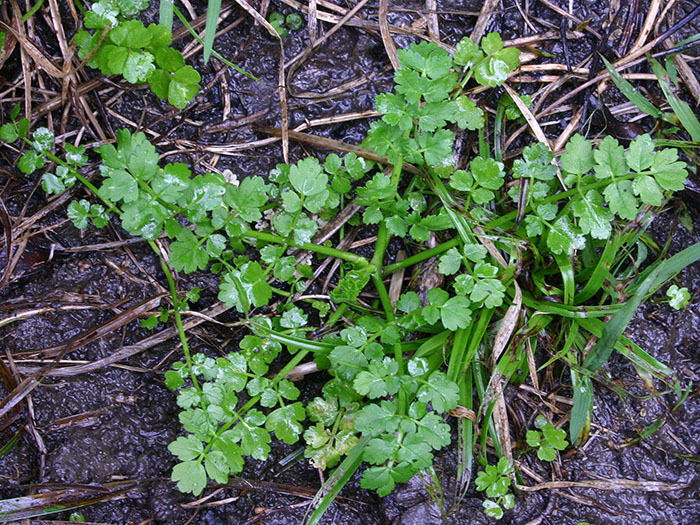 Parsley dropwort is found in grazed pasture, on disturbed ground, playing fields, parks, lawns and gardens especially in Northland, but is increasing in parts of the Waikato, Coromandel and East Coast of the North Island. 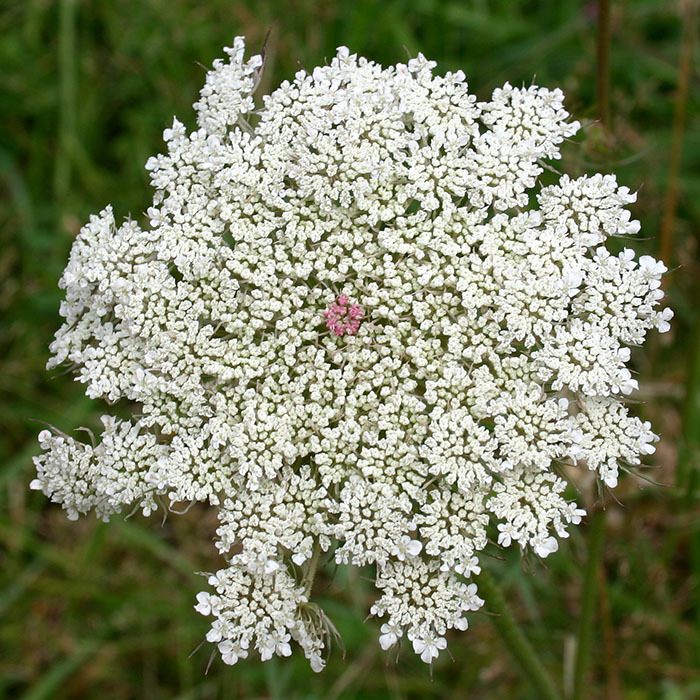 Generally, parsley dropwort grows in a damper environment than wild carrot. 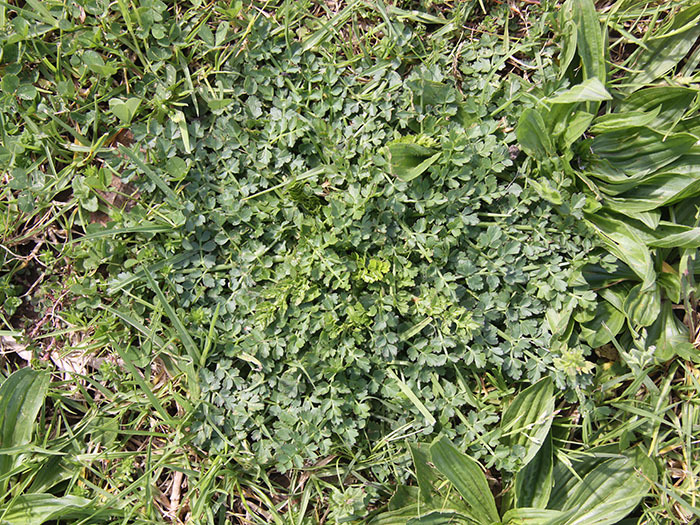 Hay from pastures infested with parsley dropwort is worth less and probably helps spread the weed. 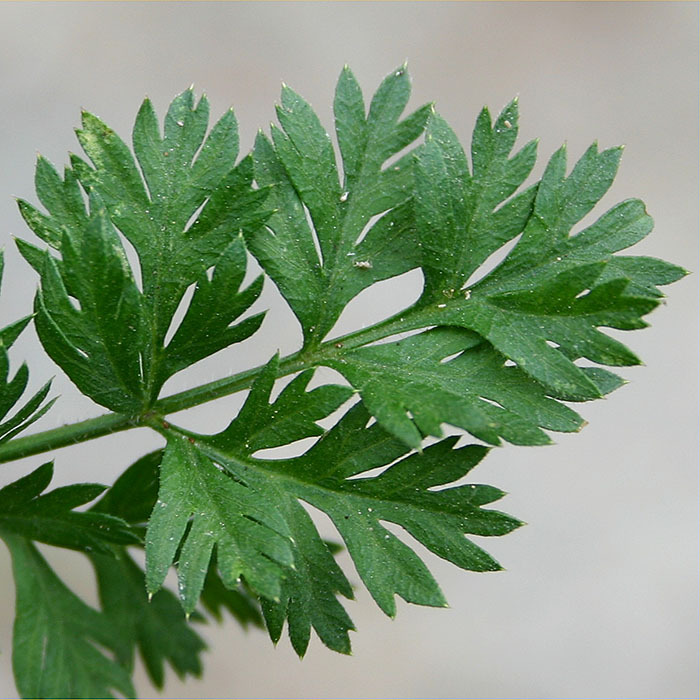 Parsley dropwort is considered poisonous in South Australia, and it has several close relatives which are poisonous to livestock. 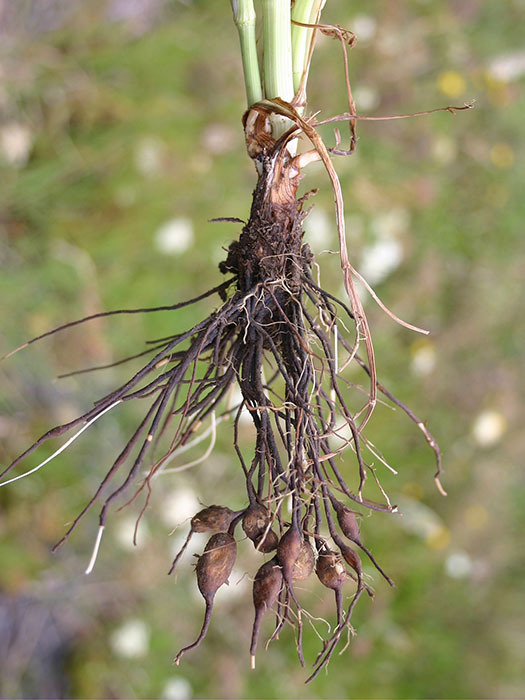 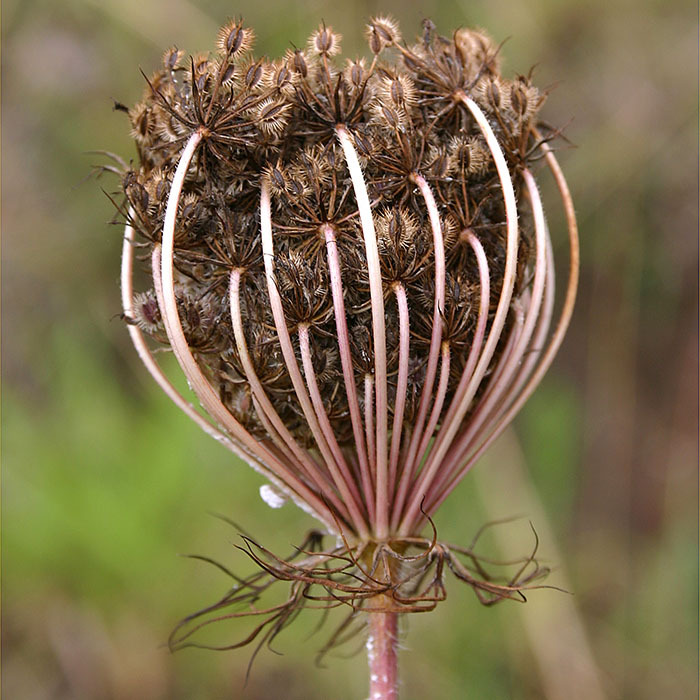 Wild carrot is controlled by 2,4-D or MCPA in the seedling stage but can be harder to control when it gets older. 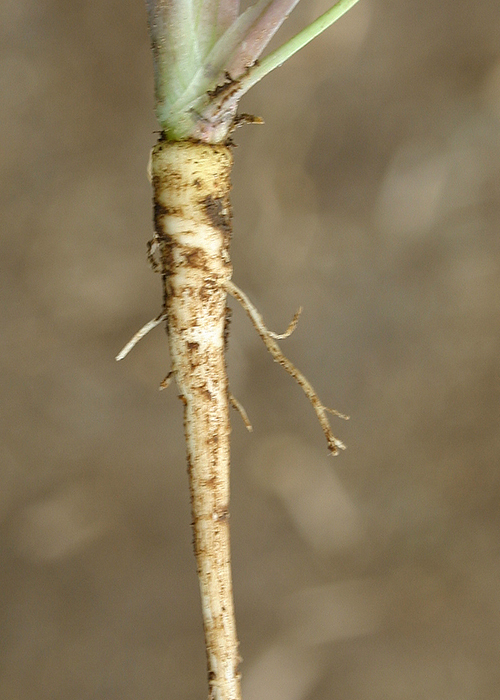 Harrington KC 2015. 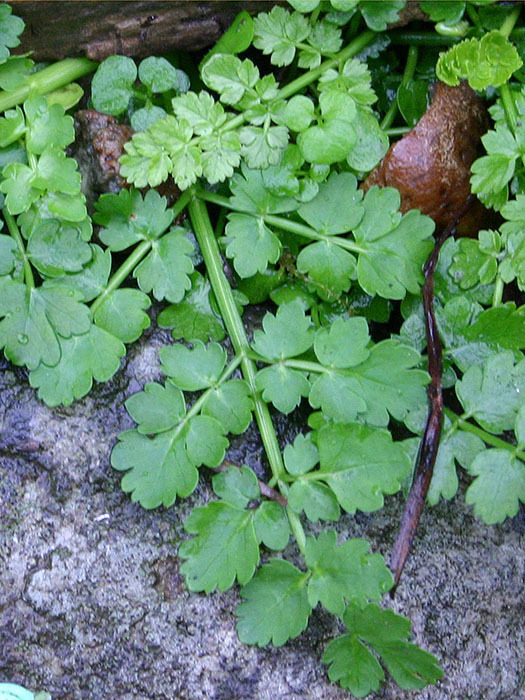 Parsley dropwort. 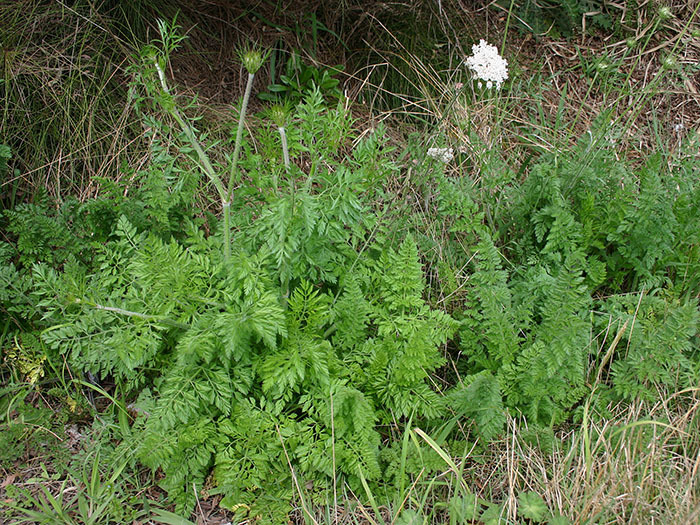 Massey University Weeds Database. 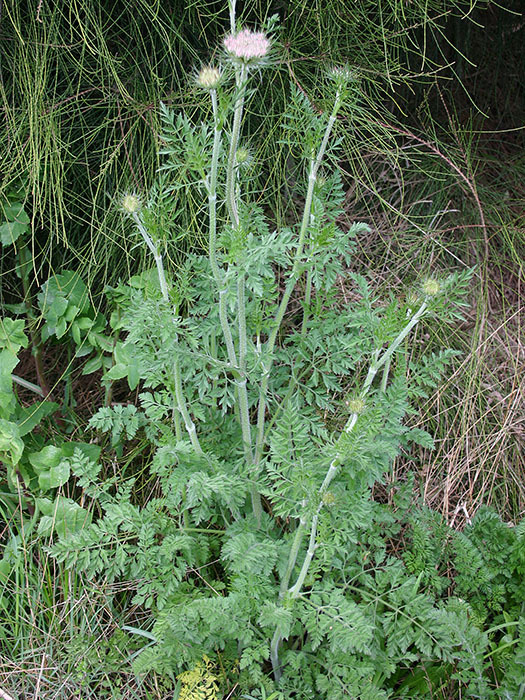 (accessed 31 March 2016).